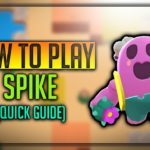 Home » Frank Brawl Star Complete Guide, Tips, Wiki & Strategies Latest! Frank is an Epic Brawler. Frank is a hard-hitting Beefier dude, Who has a powerful hammer in his hand like Thor! He Does great area damage, Has very good hitpoints. With his hammer, he does various kinds of attacks which does a good area damage to the enemies. Frank’s attack name is “Hammer Hit”, He hits the ground in a particular direction, All the enemies in that direction gets damaged in that particular angle. Frank’s Super name is “Stunning Blow”, He hits the ground with a powerful shot, Which causes the enemy to get stunned on that vibration. Frank is deadly when he attains his star power, Which provides him 40% increase him damage for upto 10 seconds when he defeats a brawler. Let’s dive deep into Frank’s details. As it said in the above statement, Frank takes up a while around half a second to launch his attack over a particular direction which causes tremors. Frank hits the ground very hard causing shockwaves which damages the enemy. 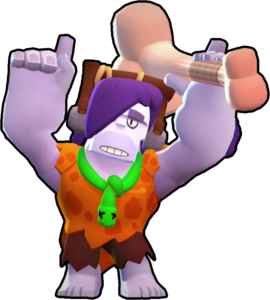 Frank’s Attack name is “Hammer Hit”, His attack is wide like shelly’s but it’s with more power. His attack can damage multiple enemies at once. 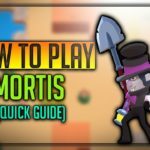 When he launches attack he is most vulnerable, Because it takes half a second to launch the attack, Brawler like Mortis could easily kill him. Frank’s Super takes a while to launch but it’s for a very long area. The enemies caught in his Super are stunned for a few seconds. So, That his teammates could take advantage of the situation, And fire over the stunned enemy. The stunned enemy cannot attack or move for that particular seconds. Frank can destroy any obstacles with his Super. Frank’s Super can be said it resembles a better version of Shelly. Frank’s star power is unlocked at level 9, Similar to Mortis, When Frank defeats the enemy, He will get 40% increase in damage for 10 seconds, Which is really makes him OP. Frank can kill again and again to get super stacking effect, Getting that ability again and again. He is a great tanker like El Primo, He can absorb a lot of damage, He can protect shooters and lobbers on dealing forward. His attack is very wide, It can attack multiple enemies at once, His hammer sends multiple shockwaves at once, Enemies present in the area gets damaged severely. 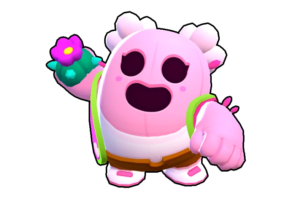 Franks’s Super can stun enemies for few seconds which is very effective in Heist, Brawl Ball, Gem Grab. So that his enemies could takedown remaining enemies. With Frank’s Super, You can destroy any obstacles around, It will pave wave your troops, You can destroy hidden enemies. He is vulnerable to long-range brawlers, Where they can easily shoot him from long range and run, His movement speed also slow. 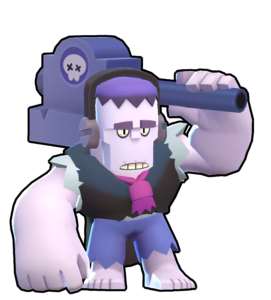 Mortis can destroy Frank very easily with his dashing ability, Frank’s attack takes time to launch, So Mortis can escape easily and still deal damage to Frank. Very weak against Legendary Brawler Crow. 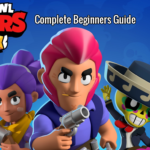 How to use Frank Brawl Stars? You can use Frank very easily, Use left analog to control his directions, On right analog, You can either swipe and attack or tap to attack, When super is loaded, press super and use. Use Frank to capture the core points, Main points of the map at starting of the game, As he has good health, He could help his team to dominate from starting. If you are unsure about who is in the grass, Then Use Frank’s attack to check from long distance. Stay away from Mortis, He is a powerful counter to Frank. Frank has a huge lag before launching the super, So you can hide in grass & finish enemy one by one without alerting them, This is a great working strategy. Frank can hit and run, As he has good range and width, Attack and run & load special. Try to use Frank’s super to stun multiple enemies, When Frank’s Super is combined with Dynamike’s Super, Barley’s Super, Multiple kills for sure. When you are running low on health, If you feel someone chasing you, You shouldn’t attack in that situation, Because Frank’s attack could stop him from moving, Instead keep on moving, And find good shelter to heal and chargeback. Frank is very useful in Gem and Grab the map, because of his higher Hitpoints, He can absorb all the gems at the centre point, Hold for a longer period of time and lead his time to victory. When enemy chasing him, he can stun an enemy or stun a moving gem carrying enemy with his Super, Which might be a game changer. Brawl Stars has been launched worldwide! 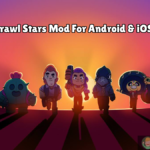 Download the latest Brawl Stars Apk now. In Heist, You can use Frank’s abilities to destroy obstacles and pave way directly to enemy Heist, Walls or an enemy, Who is near to your heist, You can be a game saver. 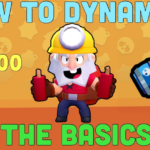 Also effective in Brawl Ball, because he can damage multiple enemies at once & his super could damage and stun a ball carrying enemy. 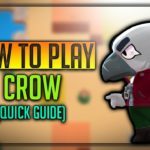 Very good player at Showdown, Capture as many gems as possible, Just try to Run and Gun, Try to gather kills, Avoid Mortis. Ambush and attack. Unlock Brawl Boxes regularly, You will unlock Frank after 1500 + Trophies and Frank has a unique caveman skin, Which needs 80 gems to unlock. Either gather gems and unlock him or buy from Supercell game store, New gems for Frank is on the way. 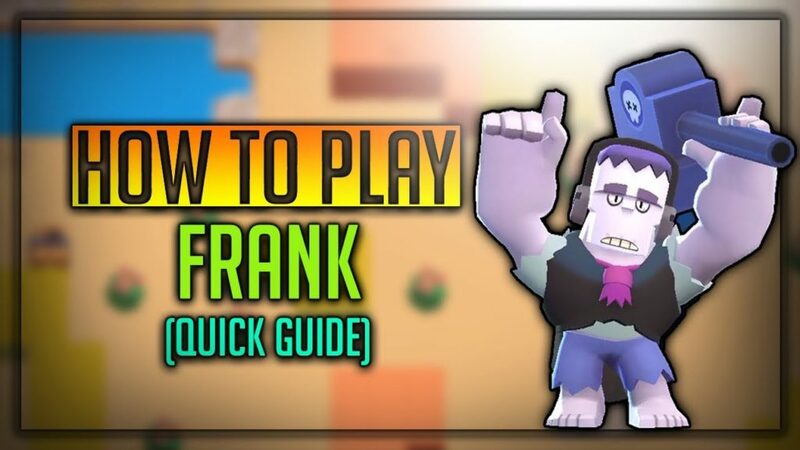 We hope you have like the article on Complete Guide on using Epic Frank, Practise his timing and try to know the timing of Frank, Practise with bots to get maximum out of him.